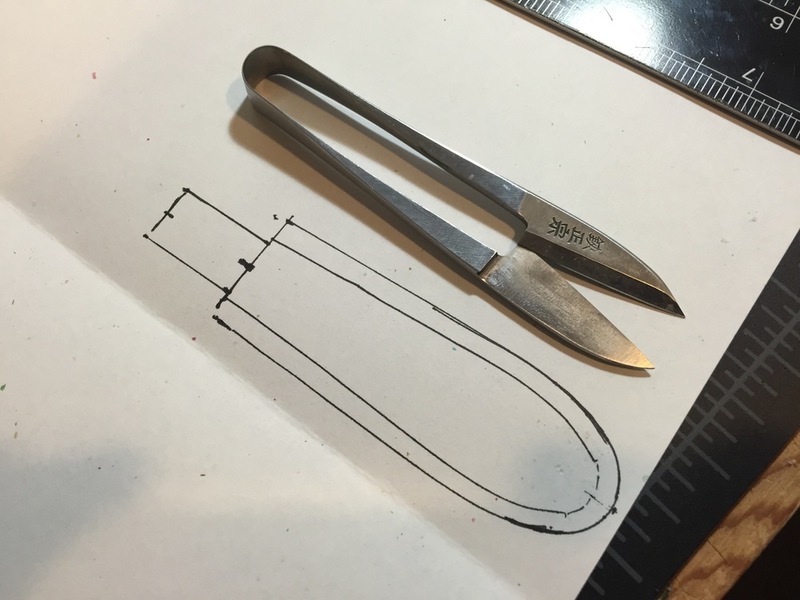 This week's leather project is a thread snipper case/sheath. The snippers came with a plastic case, but we wanted something nicer. The case also needed to snap on securely so whether the snippers were thrown in a stitching pouch or hung up on a pegboard it wouldn't fall off. I used 2/3oz Hermann Oak vegtan leather, and gave it a coat of oil and leather wax. It will darken further in time with sunlight and more oil. Setting the snap pieces after cutting out the leather. 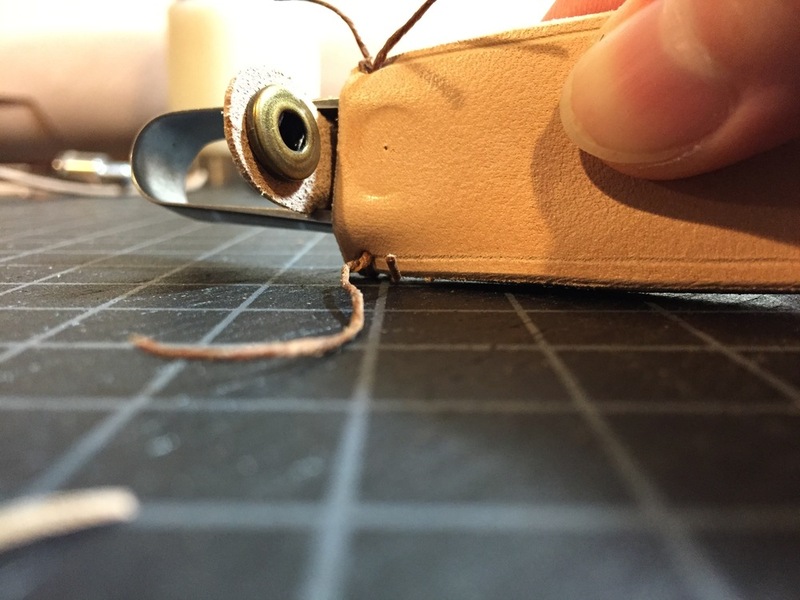 You can see I attached the two leather pieces together to make sure the snippers fit. Using the marking wheel. I don't normally use this tool, but it worked well to mark the stitches around the curve. Some oil and wax. Ready to stitch. Border added to account for stitching and tab added for the snap. This was then cut out and used as a template over the leather. Checking to see where the bottom part of the snap should be placed. Stitch holes ready and snaps set. Raw edge of the stitched case. And here it is, burnished to a nice smooth edge. I use a couple of different burnishing methods, but for this one I dampened the edge with water and burnished with canvas, then rubbed in some beeswax until it became smooth with a bit of shine. The finished case with the thread snippers!